The perfect outdoor Birthday Parties venue for 1 to 8 year olds. We’ll take you and your party guests on a tractor-trailer tour around our farm and give you a chance to pet the chicks & bunnies. 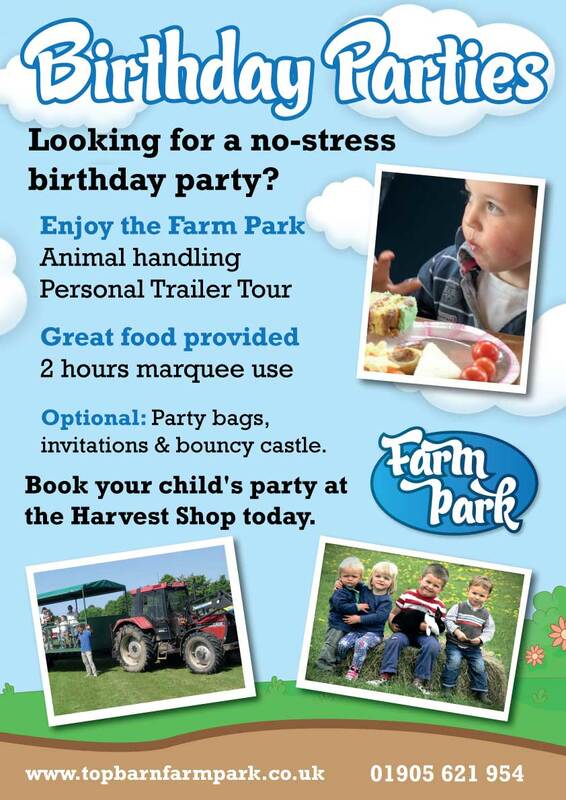 All the food is from the Harvest Shop and can be tailored to your requirements. Party bags can be provided at a cost, please enquire when booking. Access can be arranged before the party to decorate the marquee to make it uniquely yours.